Management is an area for which good planning is necessary, but it is not the only one. 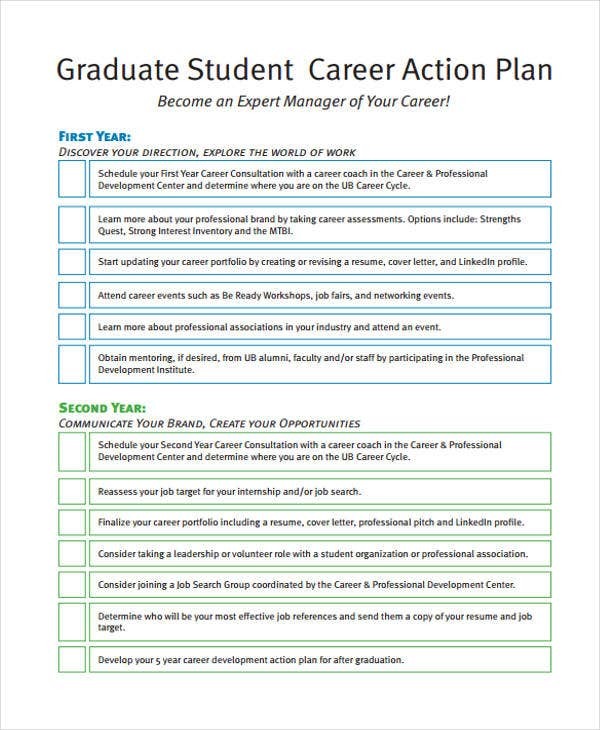 Tools like a marketing plan can easily be adapted to serve most professions, including students. This can be especially important for helping students become more effective in their studies and in personal development. Making something like a marketing strategy can make a large, complicated issue much easier by breaking it up into smaller pieces. 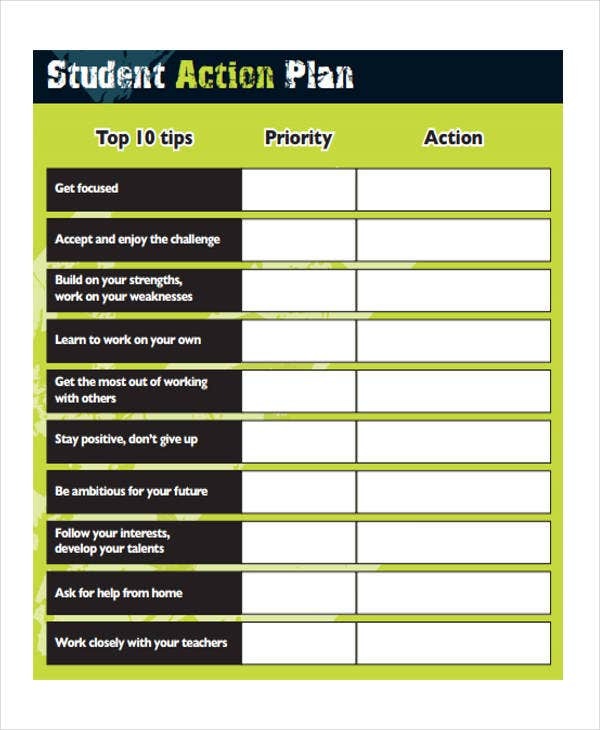 The same can be applied to student action plans, in that you can easily chart a course for students by giving them specific actions to help accomplish their tasks. Decide which area of development you want the plan to focus on. 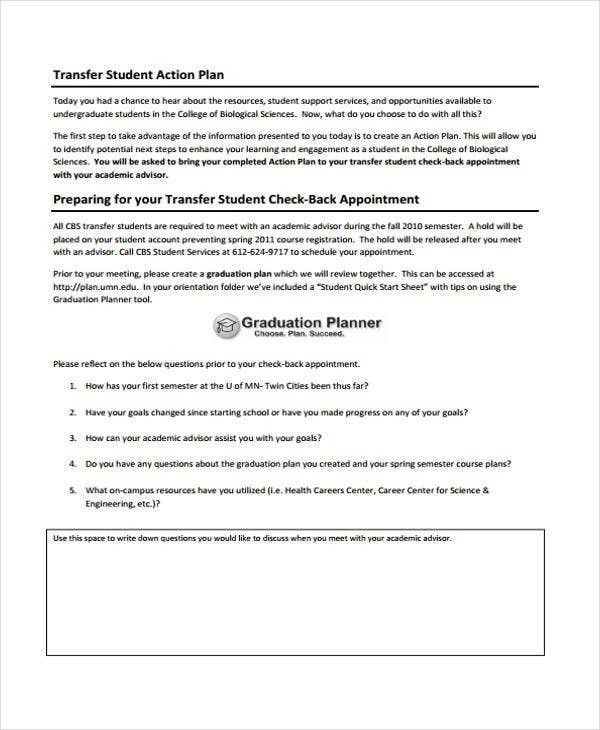 Also include some instructions for how to use the plan effectively. You can make your plan in table form so as to arrange all the elements easily. Divide the table into categories, such as what activities need to be corrected, suggested strategies, reflections, etc. Being able to regulate student behaviors. These behaviors may seem inconsequential, but they can have larger effects than one might assume. Providing a good tool for monitoring. This allows teachers to track student development and provide more assistance. Allowing students to take part in their own development. 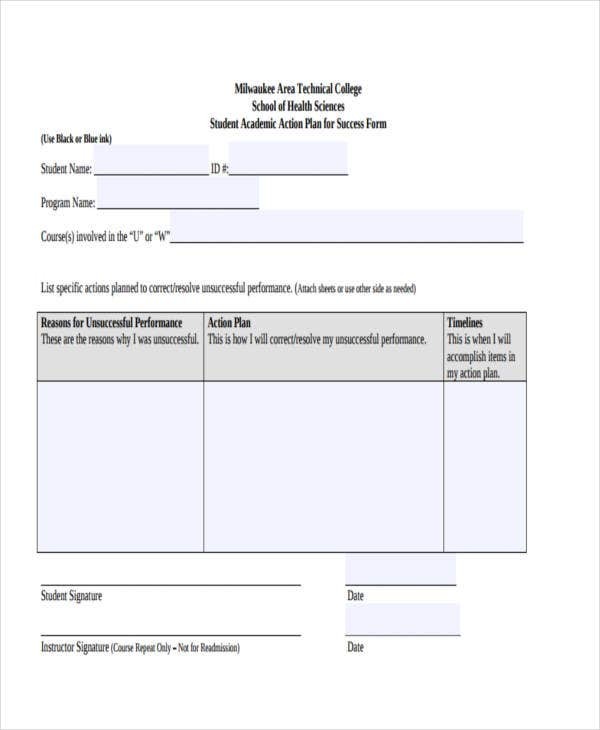 Many templates have mechanisms allowing students to add their input about the process. 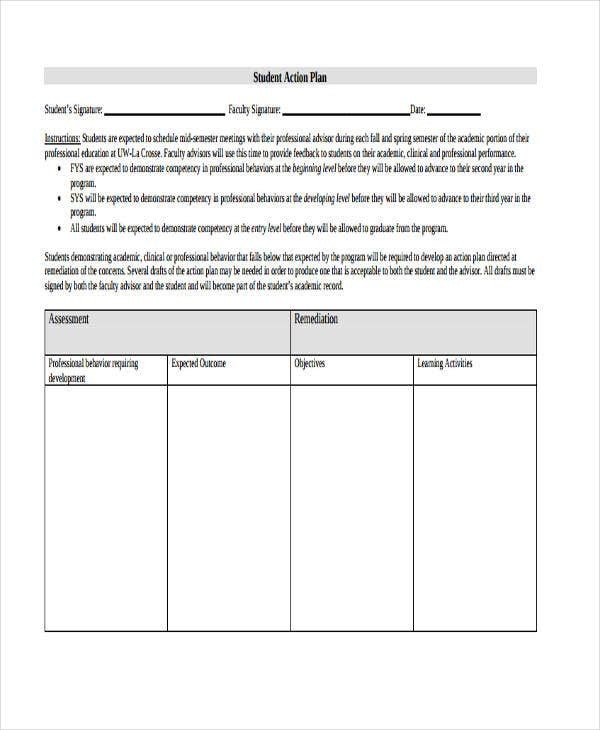 Allow students a chance to take an active hand in using the template. This can include giving opportunities to make their own strategies or allowing them to add their opinions about the plan. 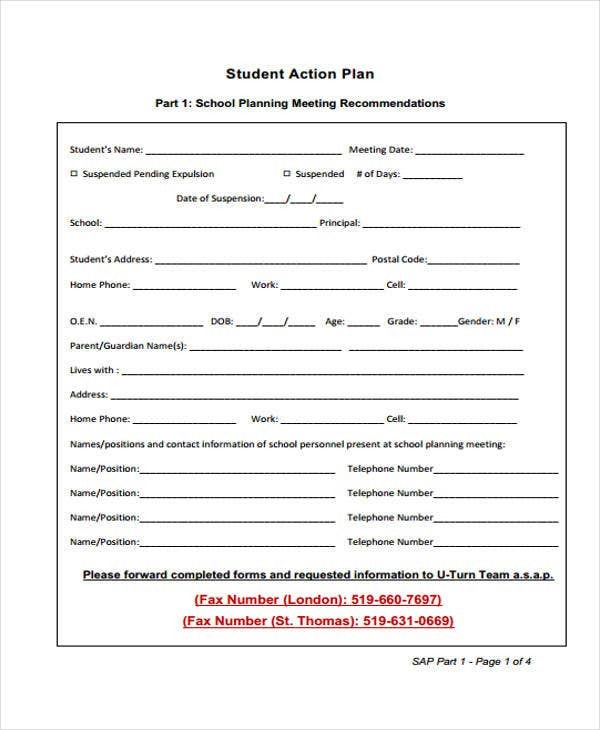 Make the plan specific by adding space for the student’s name. 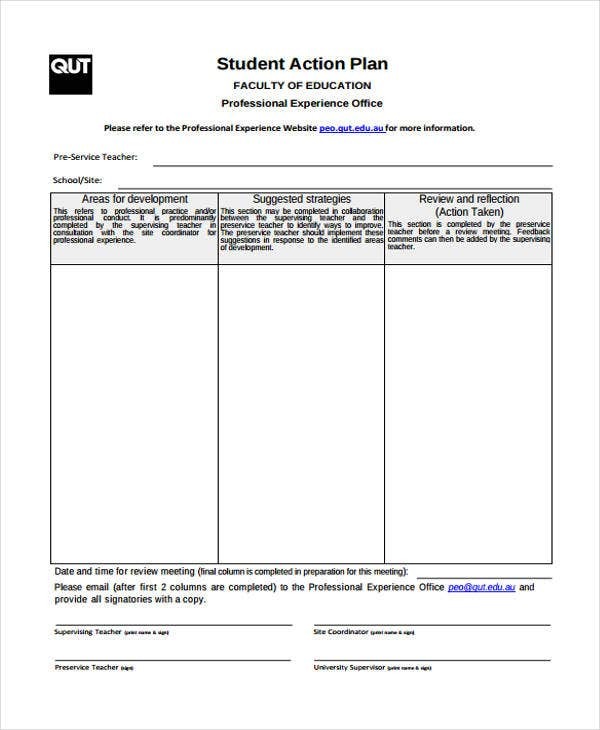 This can make it more personal for each student, which can make the document more effective. Also include space for signatures as this can help make the document seem more official. 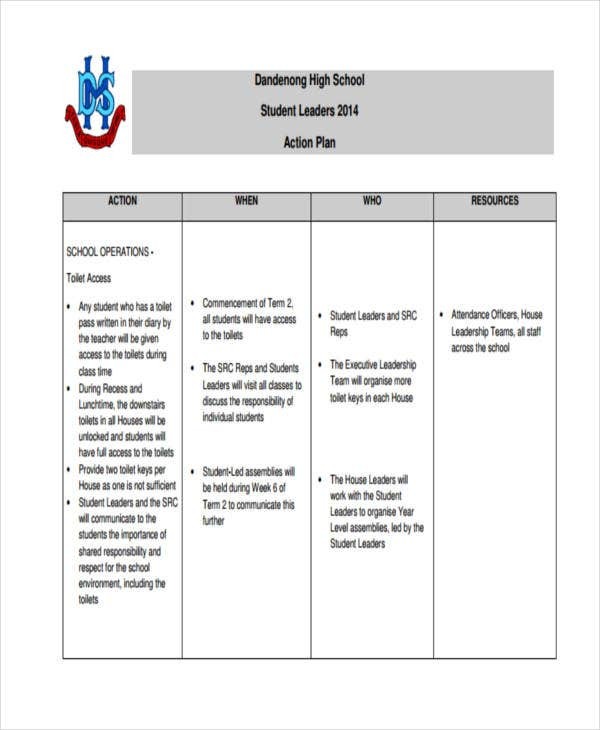 This can also go some way to clarifying the plan’s significance to students. Make your suggestions concrete, so as to make them more helpful to your students. This gives them especially useful advice aimed at improving their behavior. And if you should find yourself in need of other templates for your work, you may be able to find some elsewhere on the site. This way you can be more or less certain of finding whatever you need.